The Law Enforcement Officers Memorial Tartan© (aka. 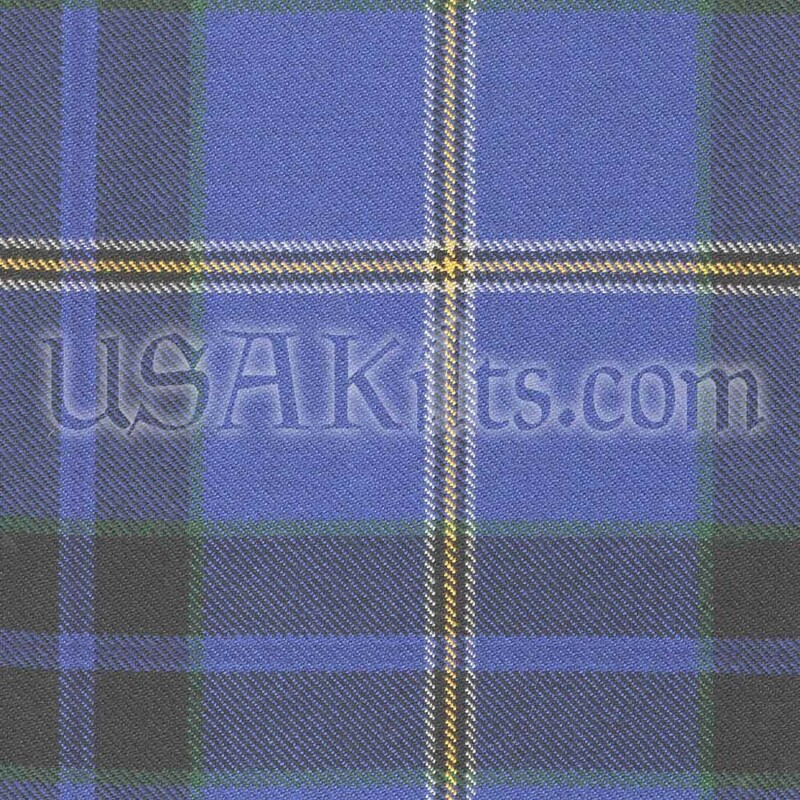 "The Police Tartan"©) was designed as a salute to Law Enforcement Officers, everywhere in the world, who have chosen, as a profession, to serve and protect others. It was also designed to memorialize those officers who have already made the ultimate sacrifice in the line of duty. 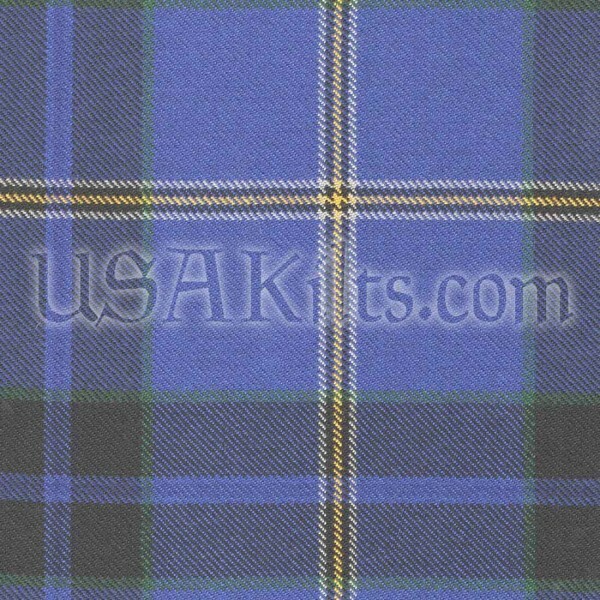 The wearing of this tartan is not restricted to Law Enforcement Officers, but is available for anyone to wear who wants to honor those who serve and the memory of those who have fallen. Click here to read about Tim Welch's motivation to create the Law Enforcement Officers Memorial Tartan. The BLUE represents the living men and women who currently serve or are retired from Law Enforcement. The 2 thick BLACK bars represent the men and women who have lost their lives in the line of duty. They also represent the 2 buildings of the World Trade Center (each bar is a tower) and the officers who died there. The 2 black bars contain 36 black threads each, for a total of seventy-two, the number of law enforcement officers who died on 9.11.2001. The DARK BLUE line between the 2 black bars is there to represent the “thin blue line” which is a colloquial term for police officers. It means that Law Enforcement officers are all that stand between citizens and criminals. The GOLD and SILVER stripes represent the badges that officers wear. The spot where the black stripes cross the silver and gold represents the mourning band that officers wear over their badges when a brother officer dies in the line of duty. The GREEN stripe is to honor The Police Emerald Societies and the Irish-Americans who made such a large contribution to police work in the early years in the US when few people wanted to do the job. 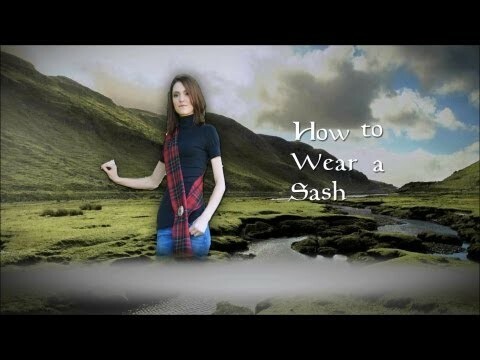 A portion of all sales of these kilts will be donated to “C.O.P.S.” (Concerns Of Police Survivors) and therefore this tartan is ONLY available through USA Kilts and may not be reproduced anywhere without the expressed written consent of USA Kilts. 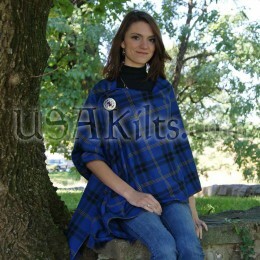 This Law Enforcement Officers Memorial Tartan PV Sash measures 11 inches wide by 80 inches long. It has fringed ends (1.5" fringe) and hemmed sides. This is a custom item and will take roughly 1 week to ship.